Most old castles will have graffiti both old and new pecked into their stonework somewhere. People like to leave A symbol for posterity (often unfortunately.) Very few ancient buildings, however, have the owner’s name graven into them for for eternity. Not so at Caldicot in Wales. If you walk around to the back of the castle, you will clearly find the name ‘Thomas’ carved into one of the stones low in the arch of the postern gate. This Thomas happens to be Thomas of Woodstock (born 1355), 1st Duke of Gloucester, Earl of Buckingham and youngest son of Edward III. Thomas was married to Eleanor de Bohun; Eleanor’s name is also on the door frame, although not as prominent as her husband’s. Her sister was Mary de Bohun, who married Henry Bolingbroke, the future Henry IV. The sister were co-heiresses of the huge Bohun inheritance. Thomas was one of the Lords Appellant who rose against Richard II, who was Thomas’s nephew. Thomas had early on showed disrespectful behaviour to the young king, bursting into his presence unannounced and speaking to him in a manner deemed improper. 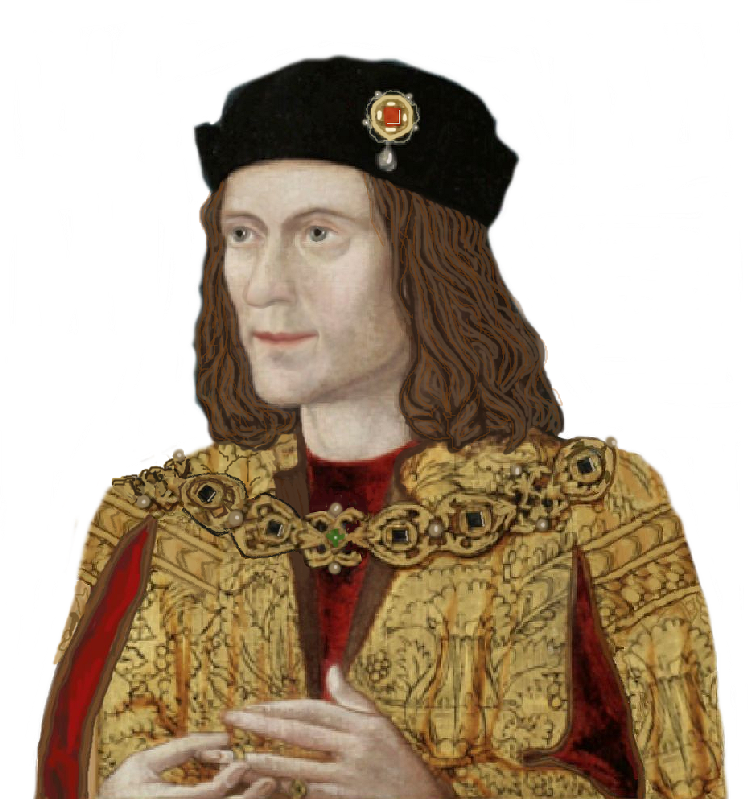 He was involved in a rebellion in 1388, which weakened Richard’s reign, and participated in the ‘Merciless Parliament’ which curbed Richard’s powers to rule. However, when Richard married his second wife and began to forge continental alliances, Thomas became wrathful and angry once more. He complained bitterly to one of his knights that the king should have been invading France, not making a marriage with a French princess. He scorned the king as being indolent and only interested in food and drink instead of war and glory. Soon after, he approached Roger Mortimer, Earl of March, the grandson of Lionel of Clarence, and tried to involve him in a plot to depose and imprison the king and his new young wife. Roger, uneasy, made his excuses and vanished over to Ireland. Word of Woodstock’s potential plot reached the king and Thomas was arrested in the presence of the king himself, who had ridden out with him, pleasantly enough it seemed, from Thomas’ castle at Pleshey–then suddenly galloped on before him, leaving the guards to deal with Woodstock, who was hustled out of England on a ship and taken to Calais Castle. There, two months after his capture and just after giving his ‘confession,’ he died suddenly–rumours says he was strangled or suffocated by a mattress on or around September 8..
Thomas’s claim to Caldicot Castle was through Eleanor; it was part of the Bohun inheritance.He did not get to spend much time there but did order much building–the Woodstock Tower and the massive gatehouse with its vast apartments and unusual ornamentation.